June is my birthday month and since today is my birthday I have to post about my favourite brand Stila and one of their fabulous new products. I have recently decided that my new favourite thing is to highlight and more specifically liquid highlight. We can all rely on Stila to create the best makeup that illuminates and perfects the skin and The Radiant Light Summer Illumination Collection is choc full of goodies that will make you look like a Goddess (not kidding - Goddess status will be achieved). Stila (those wonderful makeup wizards have created not one Shimmer Luminiser but four. - 4 - they are really spoiling us). They come in the colours Kitten, Rose Gold, Bronze and Pink. A shade for every taste and colouring. 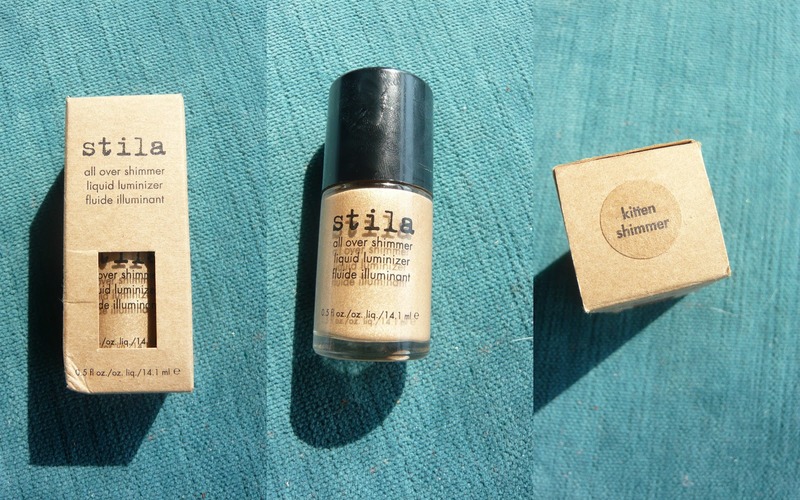 First up lets have a little look at Kitten - those of you who are familiar with Stila will know that Kitten is Stila's stand out shade and the Shimmer Luminiser Kitten is a beautiful warm toasted champagne colour. I had to nab myself Rose Gold Shimmer cause Rose Gold has gotten us all excited of late. It's the colour of the moment, rose gold is a rosy gold colour (what? did you think it was going to be black?). To the left is blended Rose Gold and the right is blended Kitten - can you see how they gently pick up the sun? (This swatch is using a lot more than is required for your face). Stila have previously released All Over Shimmers which as you can see from the left are a little bit bigger that their current incarnation. The packaging is reminiscent of a nail polish; the lid contains a brush (like a nail polish) and you can simply brush on the products. As you can see the packaging is similar (although sleeker in my opinion) to Benefits High Beam. Personally my favourite of the two is Kitten, it creates such a beautiful natural glow (if you want to practice your robot dance move away, this is not for you). 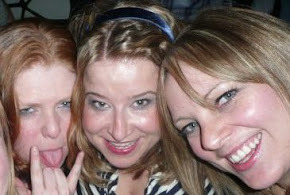 I have been wearing one of these every day (favouring Kitten) and I love the effect that they give. A little product goes a long way, usually I dab my cheekbones three times on each side and dot my nose and above my eyebrows (never having to go back to the packaging for more product). I shall have an upcoming post on how I use the Shimmer Luminisers on my face. As you can imagine today I am lit from within with the hopes of birthday cake and on the outside Stila is helping me shine. 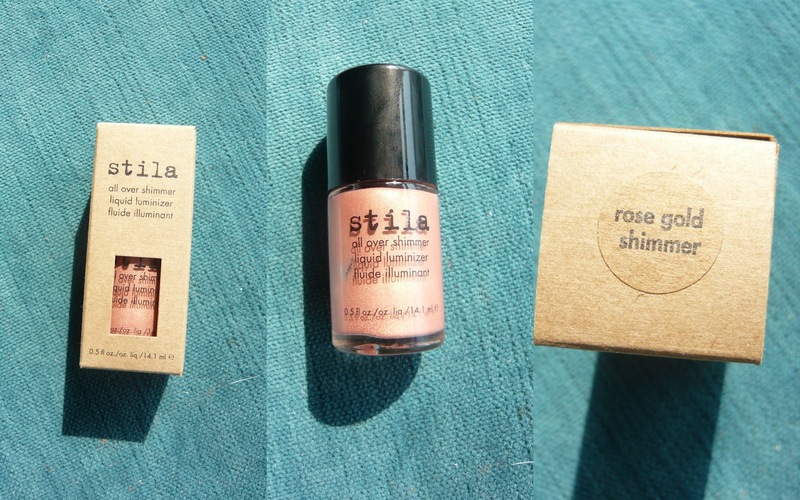 Stila All Over Shimmer Luminsers cost £16.00 (terrific value- especially because this will last you a very long time) and you can find Kitten (here) and Rose Gold (here). Disclosure: I received All Over Shimmer Kitten as a PR Sample. Being the greedy guts that I am I swiftly bought Rose Gold.